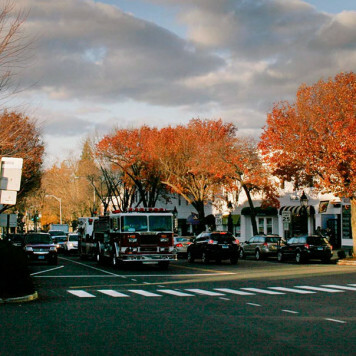 I have lived in Ridgefield and been an active real estate agent here for ten years. I have volunteered for the school system and coached local sports. Prior to becoming a real estate agent I was in commercial interior design. I am committed to my clients, the deal at hand, and the business in general. Creative thinking is important, it is not always the quickest deal that is the best for my client. Dedication to understanding the market and my clients needs and wishes helps me better serve them. I am a licensed Realtor in both Connecticut and New York, a member of the Greater Fairfield County Consolidated Multiple Listing Service, Connecticut Association of Realtors, National Association of Realtors and Ridgefield Board of Realtors. I am also e-pro certified. Please call me for help with all your real estate needs at 203.240.8133 or email me at ggearhart@williampitt.com. Working with Gabrielle Gearhart has been such a pleasure that although I am thrilled about Finding and purchasing my dream home, I am a bit saddened that I won't see Gabrielle as often as I used to! Initially, my husband and I were certain of the attributes we wanted in a home. During our search we realized that what is on our list is not necessarily the characteristics we are attracted to. Gabrielle's gentle guidance, great patience and extensive knowledge was instrumental in helping us find our home. She was able to translate "feelings" into actual features in a home that is truly perfect for us. I would enthusiastically refer any family and friend to Gabrielle as their real estate expert! Gabby was instrumental in selling our antique home on Deer Hill Avenue in Danbury during a challenging time in the market, when buyers were more interested in new construction. She ensured we had excellent marketing of the property, conducted countless open houses, and consistently communicated thoroughly with a sense of urgency. I'm so grateful for her professionalism and personal, customer-centric approach! Thank you, Gabby! Gabrielle is a fabulous realtor. She is kind and patient and always available when you need her. She consistently tends to the needs of her clients and is very knowledgeable in buying and selling property. Having been with Gabby for years, we can say that we would never use anyone else, we always recommend her. She did a wonderful job in selling our home quickly and helping us to find a beautiful new one that fit all of our wants and needs. We couldn't have asked for a better experience with her.